click here for the wrap dress tutorial. 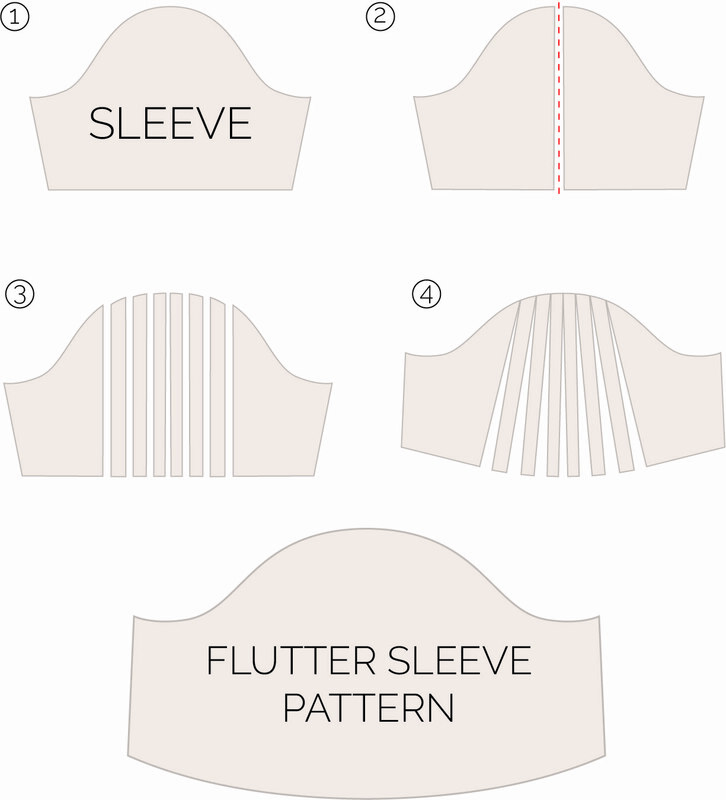 The flutter sleeve is one of my absolute favorite sleeves, especially for summer. It's just so breezy and feminine. I first made them on my maternity dress when I was pregnant with Barrett and it really wasn't too tricky, so I'm excited to share this quick tutorial with you! 1. 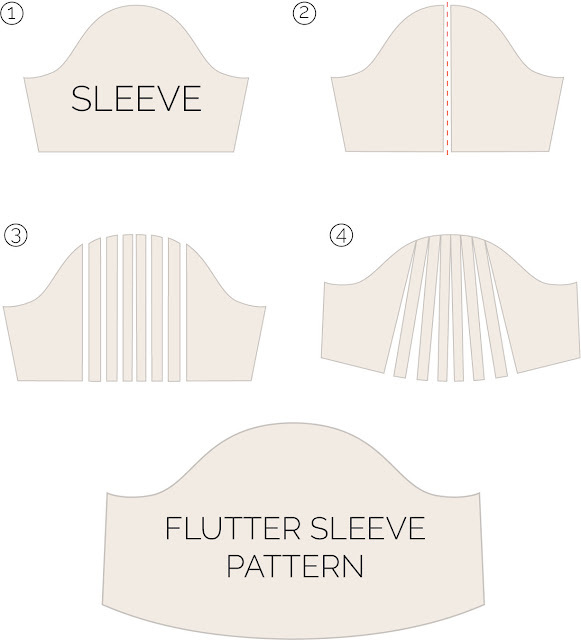 Cut out your sleeve pattern. 2-3. Cut down the center of the sleeve, then again about an inch (or so) to the left and right of the original cut. Then cut one more time to the left and right of that and repeat once more. 3-4. Lay your pieces on top of a new pattern paper piece and, keeping the corners of the freshly cut pieces touching at the top, add a little gap at the bottom as implied in the illustration. 4. Trace around the new sleeve shape. The further space you give at the hem of the sleeve, the bigger the flutter. Good luck, and thanks for stopping by!